Icon DP (dynamic positioning) is the first of several software applications from Rolls-Royce Marine featuring the new, holistic Unified Bridge design. Icon DP forms an integrated system that automatically maintains a ship’s position or heading by using its propellers, rudders and thrusters. The intuitive user interface allows the operator to navigate with ease, increasing performance and overall operational safety. 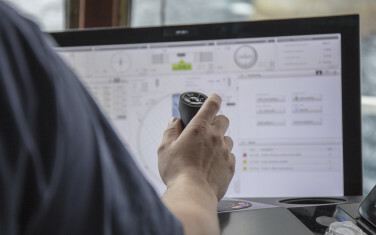 When Rolls-Royce Marine purchased several Norwegian maritime companies they inherited various products for controlling a ship’s bridge, all with different interfaces. The company’s vision was to develop a unified bridge that allowed all their digital applications to share the same logic and communicate in the same way by creating a common RRM look and feel throughout. To achieve this ambition RRM appointed EGGS to help with the design and development. We jointly set about applying a user-driven design process, paying close attention to working practices on board whilst user testing various concepts. The goal was to make every function less complex, with seamless integration amongst all applications. The result is a totally remodelled solution, giving users a much clearer overview and reduced cognitive load. 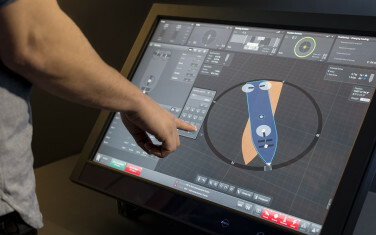 With proximity at the heart of its design, the system allows the user to directly interact with applications via large touchscreen interfaces. The common appearance of the menus provides a unified clarity, so that when the crew is faced with a challenging situation and is working with several systems in parallel, they can act fast, and accurately. As a whole, it’s a striking example of the role good design plays in harnessing technology to improve operator performance, simplicity and safety. Rolls-Royce Marine’s Unified Bridge - Icon DP is at the forefront of bridge design and has proved to be a resounding success. It’s being expanded with updated and exciting features for new markets. 6-7 vessels worldwide are in the process of being fitted with this innovative system and the feedback from users has been overwhelmingly positive. 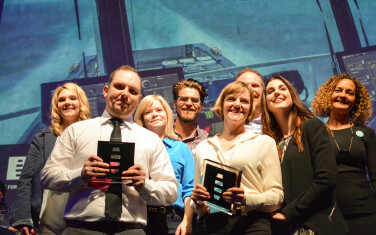 In April 2015, Unified Bridge - Icon DP won The Award for Design Excellence, presented by The Norwegian Design Council. RRM also won the Ergonomics Design Award in the UK, in September 2015.